"Our policy is to be very discreet in the things that we are doing so we are only announcing things that we have already been working on for some time and we reach a point where it is obvious that somebody will notice like we have a headquarters in Valencia so we have to tell"
Saúl de esta manera comenta el motivo por el que el equipo no es propicio ha ir diciendo cada paso que van a dar.Prefieren decir las cosas cuando las tienen hechas o encaminadas, como así reconoce en el párrafo anteriormente revelado:"so we are only announcing things that we have already been working on for some time".Lo cual no deja de tener todo el sentido del mundo, teniendo en cuenta que una gestión seria no conlleva ir hablando de castillos en el aire y sí anunciarlas cuando están encaminadas o desarrolladas. "One thing is we are moving the race and test team and most of the back office to be under the same roof to this very nice building that we will have in Valencia. The different thing is that the technical office, we will still keep it in Munich where the car is being designed and developed since the end of August." Con lo que efectivamente todo el equipo de carreras (unas 60 personas según comentó Boris Bermes en sus respuestas a la linea directa el equipo) y el personal administrativo y logístico del equipo tendrá su sede en las oficinas ya comentadas que pertenecían al equipo de Copa América BMW Oracle, cumpliéndose así los deseos expresados en su momento por Luis Pérez-Sala, que en su momento dijo muchas cosas realmente interesantes pero de las que parecía empeñada la gente en obviarlas, como si no dijera nada relevante.Dijo que quería tener a todo el equipo bajo el mismo techo para compartir unas cultura de empresa, y efectivamente eso están haciendo.Dijeron que les gustaría tener un piloto español, y ya tenemos la prueba a Dani Clos.Dijo que habría chasis nuevo, y Cuquerella lo confirmó el otro día en el programa de radio que ra pusimos y revelamos aquí, previo chivatazo de uno de nuestros lectores. Las noticias no pueden ser por tanto mejores. 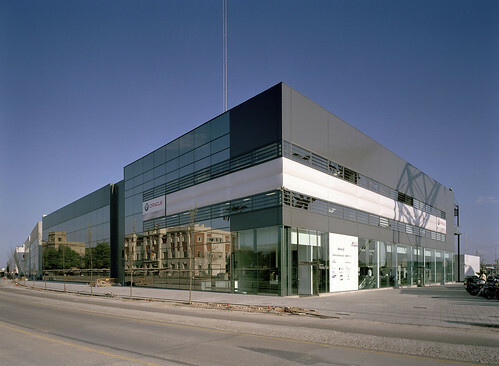 Nueva sede en Valencia, prueba a Dani Clos, chasis nuevo que aspira a superar a Lotus (ahora Caterham) y acercarse a los establecidos, e incremento del estructura del equipo (ya avanzada por Kolles) en el que el personal español parece ser la preferencia indirecta al decir que en la oferta de trabajo (publicada en su página) que pedían 11 nuevas personas para su sede en Valencia.Otra de las cosas que comenta y tranquiliza oirlas, por si no se daban por supuesto ya, es que estarán en los test de pretemporada, como también se había avanzado previamente en las entrevistas.Información han dado mucho, sólo había que leer la información intersante entre líneas. The HRT team says it is hoping to have its 2012 car ready for the first test of the pre-season next year. The Spanish squad will enter its third Formula 1 season in 2012, having made its debut in 2010.Both last year and this the team has been unable to test its new car before the first race of the year, but HRT's Saul Ruiz said on Friday in Abu Dhabi it is hoping the new car will be ready in time for the first group test in February. 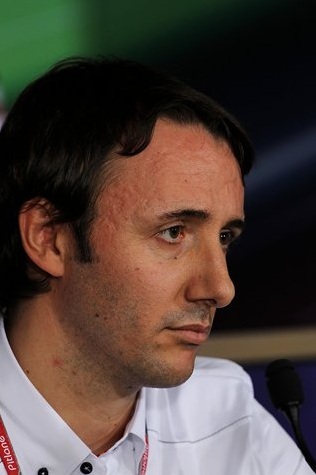 He also said the team will move under one roof in a factory in Valencia, although the design office will still be in Munich. "Our policy is to be very discreet in the things that we are doing so we are only announcing things that we have already been working on for some time and we reach a point where it is obvious that somebody will notice like we have a headquarters in Valencia so we have to tell," he said. "One thing is we are moving the race and test team and most of the back office to be under the same roof to this very nice building that we will have in Valencia. The different thing is that the technical office, we will still keep it in Munich where the car is being designed and developed since the end of August. "Also, different to last year we hope not only be at the first race but also the first test with the new car." 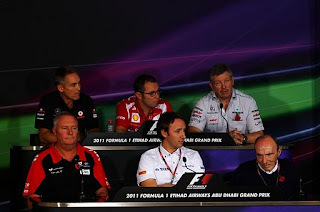 Team representatives - John Booth (Virgin), Ross Brawn (Mercedes), Stefano Domenicali (Ferrari), Saul Ruiz de Marcos (HRT), Frank Williams (Williams), Martin Whitmarsh (McLaren). Q: Saul, I don’t know if you have ever thought about third cars? Saul Ruiz de Marcos: Yes, us being a small team it has pros and cons. In abstract, we cannot say if we are in favour or deny it. I think there will be a discussion and let’s see an actual proposal to see if we are against or in favour. Q: Saul, tell us what your plans are for HRT. There are a lot of question marks over the team? SdM: Well for next year, since we entered into the team in July, we have been working basically on three fronts. One was improving this car and the car for next year and we have signed an agreement with Williams, which is an extension, in time and in contents, to what we already have. Next year’s car will have KERS for the first time in the small history of HRT. We are also working on our headquarters. We are moving to Spain, which we know that from an economic, logistical thing is not the most efficient thing to do but I think it is in our ID. 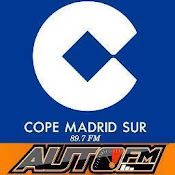 We have a Spanish licence and it is a way to get closer to our sponsors, which will be a Spanish and Latin focus. 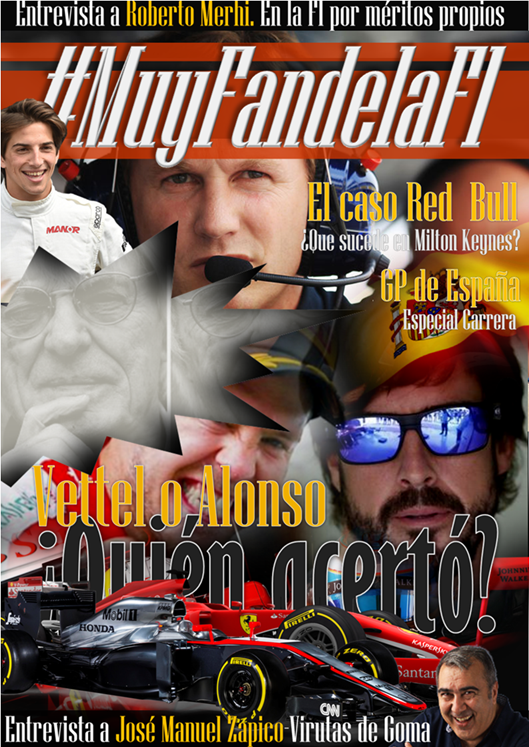 The other thing is our drivers which, also I think, after Brazil we will announce who will be our drivers for next season. Q: (Joe Saward - Grand Prix Special) Can I follow up with a question for John and Saul. You are both moving your teams shortly. One is going into motorsport valley and one is going away from it. Who thinks they have got it right? JB: Both are going south so it is something in common. Valencia is a wonderful town, but we will settle for Banbury. Q: Can you go into some details as to why you are going to Banbury? JB: We just feel it is the right thing for us to be under one roof now. We made a pretty bold move, in June I think it was, when we decided to take our destiny into our own hands and I think it is the right thing to move under one roof instead of the three we were in before. SdM: I think the decision is something positive. Normally, because of being one of the slowest cars and also because of that we have to go and look for something a bit different to the rest of the teams. They are in the same area, very similar background. In some time we will see if I was wrong, but I think it is the right strategy to do an approach which is slightly different to what everybody’s doing. If I was one of the (inaudible) I wouldn’t do it, but I have to try and do something different. Q: (Dieter Rencken - The Citizen) Two part question for Saul. The first question is about the time-line of moving to Spain. Last year you had a car that was designed and partially built in Italy, finished at the circuit, then it moved to Germany. This year it’s the same car, which has been upgraded, also done in Germany. Now you talk about moving to Spain. What sort of time-line are you talking. 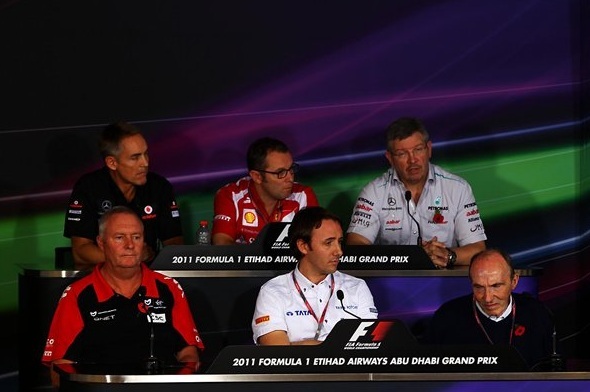 Part two is why is Thesan in Formula One in the first place? Is it here for the long haul? Are you looking to sell the team? How did you get into it? SdM: With regard the first question I think the difference compared to last year is, I don’t want to enter into what happened as we were not here but I think that it was not part of a plan. Things were happening. Here it was a plan and our policy is to be very discreet in the things that we are doing so we are only announcing things that we have already been working on for some time and we reach a point where it is obvious that somebody will notice like we have a headquarters in Valencia so we have to tell. One thing is we are moving the race and test team and most of the back office to be under the same roof to this very nice building that we will have in Valencia. The different thing is that the technical office, we will still keep it in Munich where the car is being designed and developed since the end of August. Also, different to last year we hope not only be at the first race but also the first test with the new car. That’s the answer to the first question. Regarding the second one we are financial investors. It is obvious. If you enter into our website you can see. But I think Formula One is a totally different business for us as it brings business itself so here we have no urgency at all. The investment is not in one of the funds that have a definite exit so we could be here for ever or sell it. I wouldn’t say before three years as we have to do this project. Of if we like it we can keep it forever. 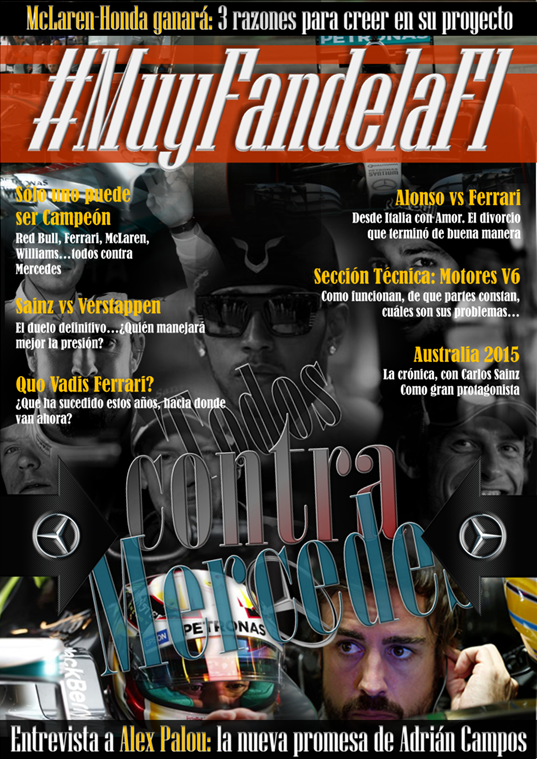 Q: (Manuel Franco - AS) Saul, will there be a Spanish driver in your team next year, for sure? SdM: I hope so. I don’t know yet what we can guarantee. Our rookie test driver for next week is Dani Clos who is a young talented driver, who was second in qualifying for GP2 today. He will probably win GP2 next year so if it’s not next year - in the next two seasons - eventually the team will have one Spanish or Latin American driver. 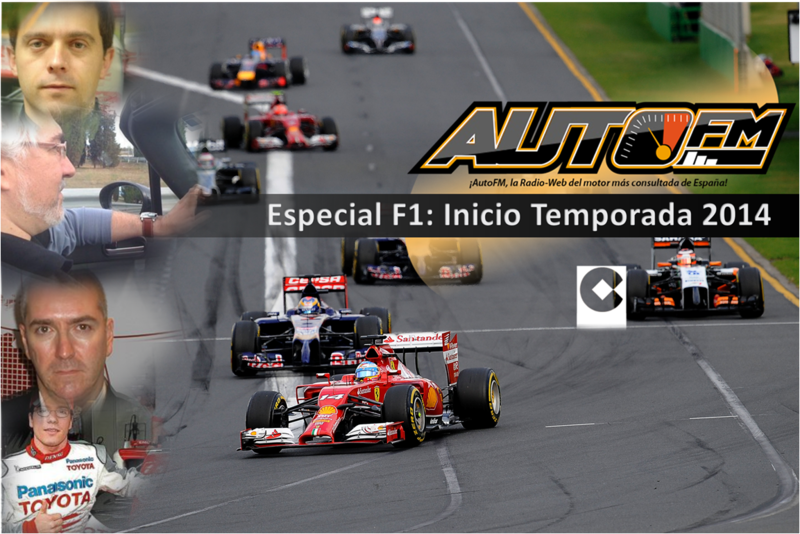 Publicado por LOGANQR en 11/11/2011 11:19:00 p. m.
digo yo que no te recorres miles de Km sólo para ver los boxes del equipo ;) ¿no? los dos en el box, ¿los dos probando en Abu Dhabi? 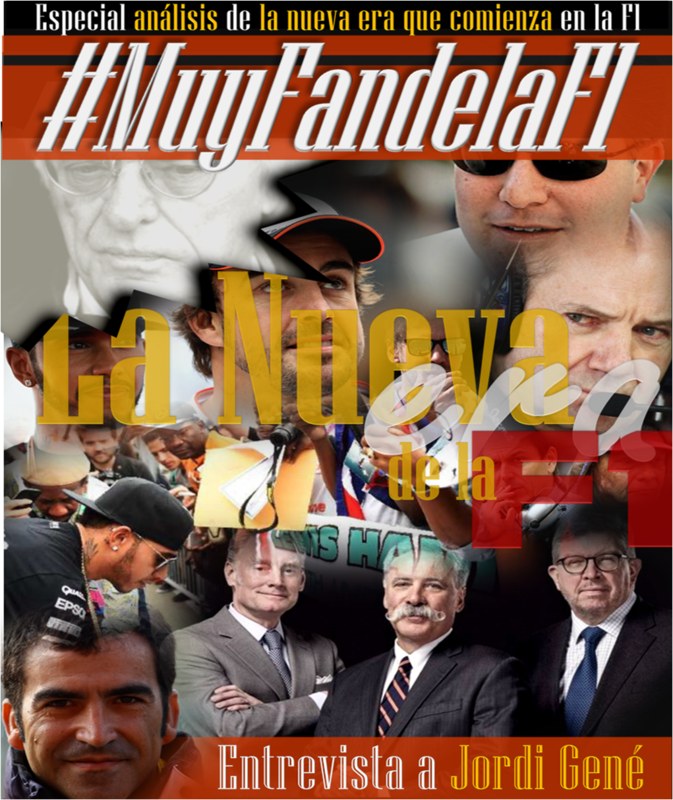 a ver si la dan la opción a Juncadella, que además es sobrino de Luis Pérez-Sala...con lo cual ¿1+1=2?...veremos.